how you challenge an obvious short of the first down marker call but not challenge the pretty obvious td by connor is unbelievable. plenty of players had mistakes that could have contributed to the loss but the loss would have been on coaching. Yes, Ben's checking down saved Tomlin! All those broken tackles (7) by Vance McDonald? Ben Roethlisberger! The 70 yards after the catch to go up 6 and 7 respectively in the 4th quarter? Ben Roethlisberger! Those 110 yards rushing on more than 6 YPC? Ben Roethlisberger! The literally not even giving up a single pressure against one of the best pass rushes in the NFL in 46 drop backs? Ben Roethlisberger! Save it. It was a total team win. For those who understand situational football the only bad part about Tomlin's challenge in the first half was that it made two (or even three) second half challenges impossible. In his mind he was clearly treating it like a timeout since the team as a whole couldn't decide what to do on 4th down. By the time the punting unit went out because a decision was made there were 8 second left on the playclock and they were rushing a punt attempt. It effectively was a timeout that cost us the shot at a second half challenge. The Connor TD was also not easy to challenge. There was no guarantee of it being ruled a touchdown. Because of this, there's a chance you lose a timeout in the second half. In a close game. We very much could've needed that timeout based on how things ultimately turned out. You have to believe your Offense which is the #1 Offense in the NFL at converting in the Red Zone for TDs can get it with 3 tries from the half-yard line. Tomlin wasn't perfect but the stuff people complain about without taking everything into consideration is so annoying. ben was close to throwing 3 picks today. Not only that, but I overcooked a steak today. I immediately called the Steelers front office and demanded they fire Tomlin for distracting me whilst I cooked said steak. Tomlin is not only to blame for everything that goes wrong for the Steelers, but pretty much everything that goes wrong in everyday life. Still havent forgiven him for getting Gilmore Girls cancelled. Butler is the one that needs a hero. No lead is safe with that gutless defense. Yea. I'll just highlight this. also thank Marv as they bungled and left enough time on the clock for us to have a chance. A good coach would have made sure they would have run the clock out. When this happened all I could think was how many other vet coaches would have allowed this? Consider this a gift, because I don't expect that to happen again. Also, Ben saves burns, because burns would have been in the hotseat if we lost because of his TD and that penalty. Tommy Boy was about as bad as ever today. That challenge was completely asinine. The failure to challenge the 2nd one, because of the asinine failure wasting a challenge and a timeout, was the result. Both were stupid. Typical Tommy Boy crap. Ben has carried him his entire career. The poster boy of the Rooney Rule is a joke. Always has been. Always will be. Nothing but a cheerleader and a political statement. Not what you want at HC of the Pittsburgh Steelers. I think peoples' hate for Tomlin is blurring the lines a bit. If it were me, I'd challenge the Connor TD. However, it's not exactly uncommon for a coach to decide not to and just take the ball 1st and Goal at the 1/2 yard line. Especially considering how well Connor was running the ball. He already ran it in TWICE from the Goaline. There are things you can criticize Tomlin for. IMO this isn't one of them. Not so. The Steelers had already interviewed Ron Rivera which "satisfied" the Rooney Rule conditions. The other candidates were The Whiz and Russ Grimm. Are you suggesting that any of those 3 would have been irrefutably better then Tomlin? win as a team lose as a team, so ben saves the day here (along with AB) while others could fall under scrutiny. It has got to the point where we as fans and viewers just have to roll with the punches. I too never understood the non challenge of the Connor TD, and playing burns, but thats just what this team is , take it or leave it and learn to deal with that. Next chapter (supposedly) is bell returning and what that entails. He might be legit ready by week 13 if it does take 4 weeks to get back to game form like it did last season. Thats if he reports. This is one of the most idiotic posts Ive seen on here in awhile. Im not even going to put any more thought into it than that, because its clear you didnt. As Chief said above, who wouldve been a better hire? Grimm? No. Whiz? No. Rivera? Umm....maybe a lateral move, but not really better. Ben has carried him his entire career? Such a narrow minded criticism. By that token of logic, has Brady carried Belichick? Not saying Tomlin is anywhere close to Belichick obviously, but Belichick hasnt done anything notable as head coach without Brady. Outside of a few outliers, teams in todays game NEED a QB to win CONSISTENTLY. Steelers fans are the most spoiled fanbase, perhaps in professional sports. They overreact and kneejerk more than almost any fanbase, and are one of the more disloyal fanbases as well, at least when it comes to players and coaches. One bad year, and some fans want everyone to be cut or fired. Not all fans are that extreme, obviously, but I see a much higher sense of entitlement from this fanbase than than I see from any other fanbase outside of maybe the Lakers and Yankees. 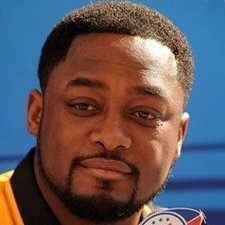 I know we have had plenty of time to assess Tomlin and his faults, and I dont blame anyone for not liking him in general, but alot of the people who bash him the way you do would be bashing pretty much any other coach the same way unless we were win SBs at the same rate as the Patriots. Dont get me wrong...is it time to move on from Tomlin? It very well might be, but these generic, hateful assessments of him are always laughable. There are numerous legit issues to be annoyed with about Tomlin....but apparently, its easier for some people just to keep on throwing out the extremely lazy "cheerleader" and "Ben carries him" nonsense to avoid having to think of a more eloquent criticism. The entire "he is a Rooney rule hire" is on a special level of stupid. Tomlin should have assistants that could have helped him decide to challenge the Connor TD. 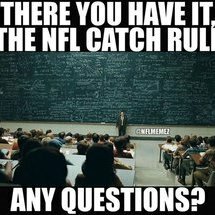 I am not blaming tomlin as much as I used to, now I have many other options, burns, D draft scouts, colbert and Butler probably in that order. Tomlin had this team ready, thats a start, we weren't down 21-0 in the 1st either. Conners close call came after Jujus TD wasn’t a TD. That makes you less trigger happy on challenging something that close. I only caught bits and pieces of the game and the guy I was watching with is not a fan of either team. But he made the point of after being screwed on the JuJu call, why bother to challenge that call.